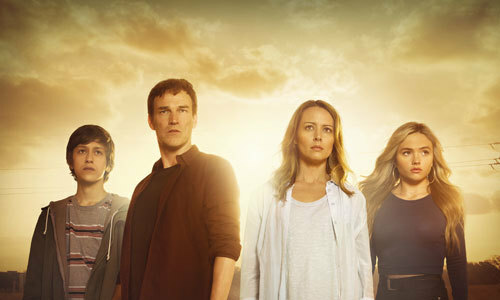 TV’s “The Gifted” moves into the X-Men universe with tales of a family who face life changing events when it is revealed that the two teenagers have mutant powers. 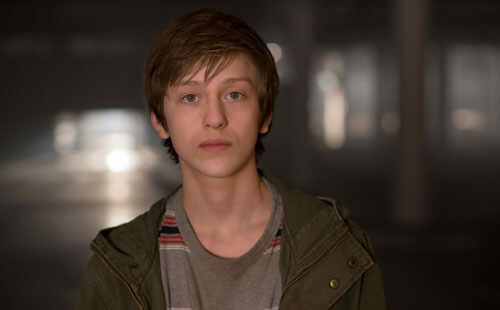 Andy Strucker played by Percy Hynes White, is a bullied high schooler with latent mutant (X-Men style) supernatural powers. Imagine his surprise when he has had enough bullying and his anger brings out a psychokinetic power which almost wrecks the school! 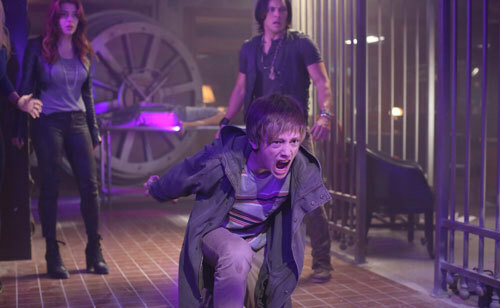 Andy (Percy) on the run Courtesy of Fox Broadcasting Co.
To complicate matters, this is a time in which mutants are hunted, jailed, tried and sent to government “facilities” and Andy’s dad, played by “True Blood’s” Steven Moyer, is a prosecutor dealing with cases against mutants. As an extra “perk”, Andy’s sister Lauren (Natalie Alyn Lind) has secret powers of her own….and you thought your life was complicated. The family goes on the run, is divided and teams up with the Mutant Underground who have to stay deep undercover to survive. We got Canadian Percy to take some time out from shooting the series to answer some questions about the show and his personal faves and downers. Check it out! Kidzworld: You just had your 16th birthday. Did the cast give you a cake? Percy: Yeah, they actually had one brought out during our panel at the New York Comic-Con - a great big cake. It was great! Kidzworld: Andy is a troubled, bulled teen with a special power. Is he Psychokinetic, i.e. he can tear things apart with his mind? Or do I have his power wrong? Percy: I guess it’s kind of like that, though I wouldn’t label it that exactly. Especially because Andy’s just learning about his powers, and they are evolving. An angered Andy (Percy) about to unleash his power Courtesy of Fox Broadcasting Co.
Kidzworld: Cool, then we may see him cause even more havoc! Have you ever been bullied and, if so, what did you do about it? Percy: I’ve never been bullied. I’ve seen a kid be bullied once, when I was younger. I actually remember talking to the bully at the time and told them to stop insulting the kid - not sure it helped. Kidzworld: But good for you for speaking up for him or her. Which mutant power would you most like to have in real life and why? Percy: I think the ability to be invisible. I could sneak around and not get caught, and I could pretend to be a ghost. Kidzworld: Terrific for Halloween too. How are you most like your character Andy and how very different? Percy: I think I’m a little sarcastic like Andy, but I think I have better style! I probably have a little more confidence and I’m more goofy in real life than Andy. 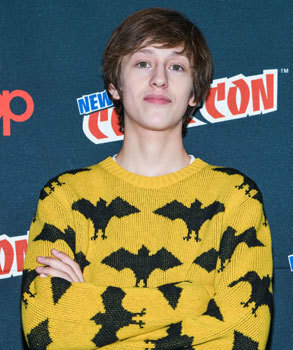 Percy goes bats at New York Comic Con Courtesy of Fox Broadcasting Co.
Kidzworld: Yeah, he isn’t having a ton of fun on the show at this point anyway. I’ve read that your favorite X-Men character is Nightcrawler. Why? Percy: Because Kurt has a really interesting back story, he’s very politically motivated, which is an important theme in the X-Men universe, he has a good heart, he has physical differences that are cool. I also like that he’s German and religious - he’s just really unique. Plus his power is really convenient and I’ve always wanted to be able to go anywhere in seconds. Kidzworld: Wouldn’t we all? Andy is feeling down and depressed a lot. Is it a downer to play that so much? Are you looking forward to when he’s feeling more powerful and happier? Percy: I always enjoy when he’s feeling powerful and happy. I like his sarcastic funny moments, but yeah, I look forward to him gaining more confidence about his abilities. Percy signs posters at a FOX event Courtesy of Fox Broadcasting Co.
Kidzworld: Before this series had you had a lot of experience acting to things that aren’t really on set and will be added in later? What IS on set.. any people in mo-cap suits or are you looking at a tennis ball mark etc.? Percy: I worked with a few green screens in the past - not many. But on this show, I mostly work with practical (on set) effects. We don’t use green screen that much. So I've been lucky. Kidzworld: Your dad (writer/actor Joel Thomas Hynes) is an actor. What is the most valuable piece of advice he’s given you on acting? Percy: Actually both of my parents work in the industry (mom is producer Sherry White) and they have taught me everything I know about being an actor and storytelling in general. I couldn’t narrow it down to one piece of advice. Andy and Lauren conjure up their powers as mom (Amy Acker) looks on Courtesy of Fox Broadcasting Co.
Kidzworld: Who is the prankster or big jokester on set? Percy: Everyone is hilarious and really fun - we all have a good laugh. Natalie (Alyn Lind) messes with me all the time, she’s probably the biggest prankster but Coby (Bell who plays “baddie” Sentinel officer Jace Turner) probably makes me laugh the hardest - that man is funny. Kidzworld: Wow, unlike his character. Were you a big fan of director Bryan Singer before the series? I hear you loved the Superman Returns movie. Percy: Yes, big fan of his work - not only his superhero stuff, but I love his other stuff, Apt Pupil, The Usual Suspects and Valkyrie. Really excited to see 20,000 Leagues Under the Sea. 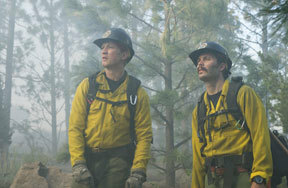 I’ve always been a fan of Jules Vern stories - and I think Bryan will make a great adaptation. Kidzworld: That will be a good one! What do you hope the showrunners and writers will create for Andy to do that they haven’t yet? Percy: I hope I get to lean into the darker side of my character - I’d like to see who I become without the comfort of my family around me. Would be scary but cool! Kidzworld: Well, he was thinking of breaking into a bank in one episode. Let’s lighten up. What is the worst thing a girl can do on a date with you that will make you say NO second date? (i.e. pet dating peeve)? Percy: I don’t like when girls are on their phone way too much, or are posting every minute of everything we do. I like to be in the real world sometimes too. Percy as Andy with his sister Lauren (Natalie Alyn Lind) Courtesy of Fox Broadcasting Co.
Kidzworld: I hear you! What music artist or band are you really into right now? Percy: I listen to a lot of rap and hip hop - like L’il Uzi Vert - he manipulates his voice in a way that tells a story and evokes a lot of emotion. His beats are well produced and he has unique melodies. I also listen to old funk and rock from the 70’s. Kidzworld: What would be your dream ride (fave car)? Percy: Not really into cars - but I’m thinking I’d like to get a practical car next year when I can drive - thinking either small - like a Mini Cooper, or a little bigger like Toyota Forerunner - which was the car my parents had when I was 2. An angry Andy is a dangerous mutant! Courtesy of Fox Broadcasting Co.
Kidzworld: Which actor or actress would you just kill to work with? Percy: Oh, God, tough question - so many great actors out there. But honestly if I had to pick one, I’d love to work with Tom Hanks. Always makes a great film, that guy. Kidzworld: Is there a person in history or a character in a book you would love to play either now or when you are older? Percy: Maybe some sort of Emperor or evil powerful person. Or, I don’t know. Maybe I have to read a bit more history to figure out this answer! Kidzworld: Why would teens and older tweens really enjoy watching “The Gifted”? 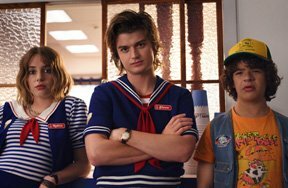 Percy: I think there’s a lot of great characters, and universal themes, and the show has a good balance of exciting action and fun character stuff. Percy as Andy with his TV family Courtesy of Fox Broadcasting Co. Check out “The Gifted” Mondays on FOX TV. Check your local listings for time. Are you into the mutant X-Men universe? If you could have one special supernatural power, what would it be? 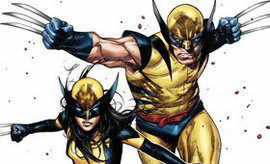 Talk mutants and mayhem below with a comment!